I love that Fairchild picture. Thanks. Those are sweet pics, love the top one! New costume on ebay. See attached image. Love the side view of super girl here. The tight costume showing mound is fantastic. The girls are back at it and dealing with some unsavory characters. Hope you like. 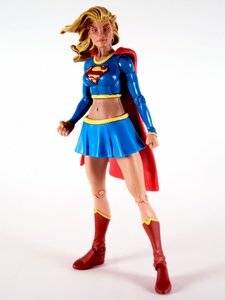 Just need to have the dark Supergirl's mouth changed to more of a 'blowing' look. Ilove superbreath, so thank you for sharing ! STRONG GIRL is coming ! Final, presented at 50% resolution. Saw this picture and loved it so I decided to upload it. I know she is not super powered but I could easily imagine her being so. Art by Amanda Conner count as a superpower by default. 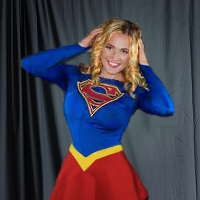 Anon wrote: Art by Amanda Conner count as a superpower by default. Agreed! The 60s never looked more awesome! sgfan05 wrote: Agreed! The 60s never looked more awesome! Except perhaps this time . Man I loved that game. No comments? Not sure where I found this. No information on who did it. Anyone know? Like it? Hate it? More to follow as I have time. Bit chunky for my tastes but what the heck.